The EGO G3 Premium Kit by GreenSound is a fantastic starter kit for beginners, and a great device for vapers looking for a sleek, portable device for on the go. 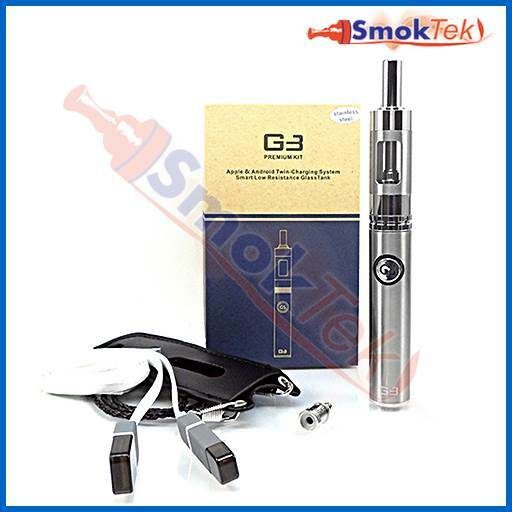 The EGO G3 was built around the needs of new vapers, and is very easy to use. It features a unique Apple and Android Twin-Charging System. The EGO G3 battery has dual charging ports designed for use with the included dual mini USB cable, and is also compatible with most Apple and Android mobile chargers. The EGO G3 Premium Kit includes a petite and powerful 900 mAh G3 eGo battery with 5-click On/Off operation. The power button features a white LED, which also functions as a battery level indicator. The GS eGo battery uses power saving technology that allows for 5 times as many puffs compared to regular e-cigarettes, while being able to last a full day before needing to be charged. The G3 eGo battery is 510 threaded. It is equipped with a microchip which guards against overcharging. In addition, the G3 eGo is a pass-through battery, which means you can vape while you charge! The EGO G3 Kit comes with a matching changeable coil clearomizer with 3.5 ml e-liquid capacity. 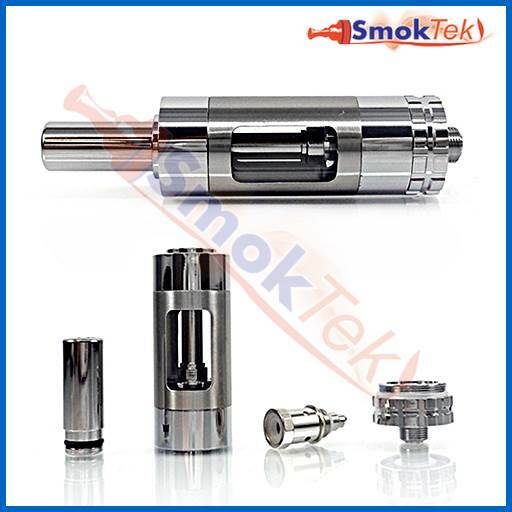 The clearomizer is 510 threaded and features vertical bottom dual coil (BDC) technology. The optimized airflow system delivers a great hit every time, and is sure to please mouth to lung vapers looking for a cigarette-like puff! The clearomizer features a sturdy pyrex glass tank. It is windowed, allowing you to see how much e-liquid remains inside. The included drip tip (mouthpiece) is removable. The clearomizer is compatible with most 510 drip tips on the market. The clearomizer is very easy to use. To fill with e-liquid, hold it upside-down, unscrew the bottom/base, tilt at a slight angle and drip e-liquid down the inside wall. Be careful not to fill with e-liquid down the center tube, which is for airflow (if you drip e-liquid there, it will leak out of the bottom of the clearomizer and/or the mouthpiece.) A needle-tip bottle makes the task effortless. 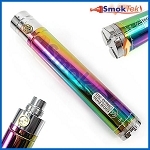 Replacing the coil is also easy: make sure to hold the clearomizer upside down if it is filled with e-juice, then unscrew the base, and unscrew the used coil head. Replace it by screwing in a new coil. Finally, screw the base back onto the tank, and set it aside for a few minutes to allow the coil to become saturated with e-liquid. 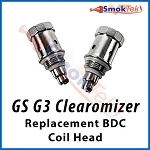 Important: When you use the clearomizer for the first time, please make sure to tighten down the pre-installed coil head, as it comes screwed in loose by the manufacturer. When re-filling with e-juice, do not overfill, and avoid allowing the e-liquid level to get below 1/3 full - these steps prevent leaking, ensure the coil head is always moist and will not burn. After filling the tank, assemble the G3 kit by screwing the clearomizer clockwise onto the eGo battery (don't over-tighten). To turn the battery ON, press the power button 5 times in quick succession. 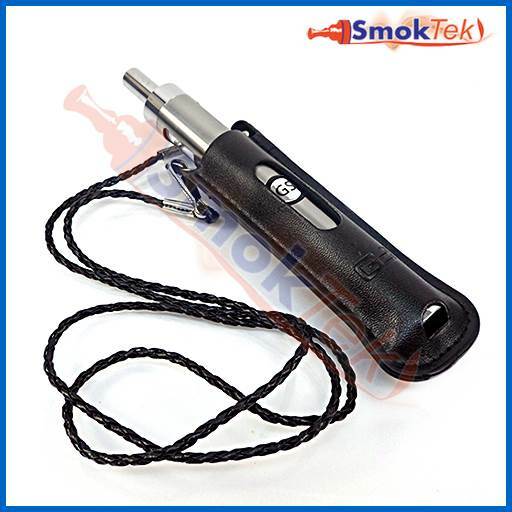 To activate the battery and begin vaping, press the power button each time you take a puff. This kit comes with a lanyard, to keep your device handy at all times. Spare coil heads are available here. To charge the G3 eGo battery, simply plug the included mini USB charge cable into a matching USB port on the bottom of the battery. The mini USB charge cable features an Apple style USB connection stacked on top of an Android style one - to charge using the latter, simply grip and pull off the Apple style extension to reveal the Android style one underneath. Plug the other end of the charge cable into your computer USB port, OR if using with a wall adapter (sold separately), plug into a wall outlet. The LED light on the power button will go out completely when the battery is finished charging. Under normal circumstances, it takes about 2 hours to fully charge the battery. Note: The G3 eGo battery can also be charged using iPhone 5/5s/6/6 Plus and all Android mobile charging cables. It is not compatible with iPhone 4/4s cables. 5-click On/Off: Click the power button 5 times in quick succession to turn the battery ON or OFF. Battery Level Indicator: When the battery power button is pressed, the LED light flashes to indicate how much power remains. White Light = 100%-30% power remains, Red light = 30%-1% power remains. If the light flashes rapidly when pressed, it is time to charge. 15-second Safety Cut-off: If the power button on the battery is pressed for more than 15 seconds, the battery will automatically stop firing to prevent any damage. Overcharge Protection: The battery features a microchip to prevent overcharging. It will stop the battery from accepting any further charge when it becomes fully charged. Apple and Android Twin-Charging System: Dual charging ports at the bottom of the battery compatible with Apple and Android style mini USB charge cable (included). The battery is also compatible with most Apple and Android mobile chargers. 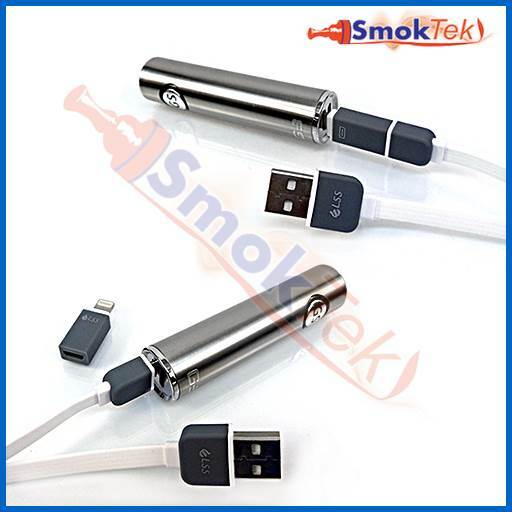 Pass-through: You can keep vaping while the battery is charging. Smart Low Resistance Glass Tank: Flame-treated pyrex glass tank protects against harsh e-liquids. 1.0 ohm and 1.2 ohm coil heads use vertical bottom dual coil (BDC) technology for great flavor and vapor, and are ideal for mouth to lung style vaping. Changeable coils make this an economical clearomizer - change only the coils, rather than buying a new clearomizer every time. Ordered one of these kits, loved it immediately and ordered two more. Great Flavor, pass through, and the battery seems to last a very long time. Doesn't really get hot, juice never tastes burned, and with the pass through can vape all day. A very good kit, especially for starters.